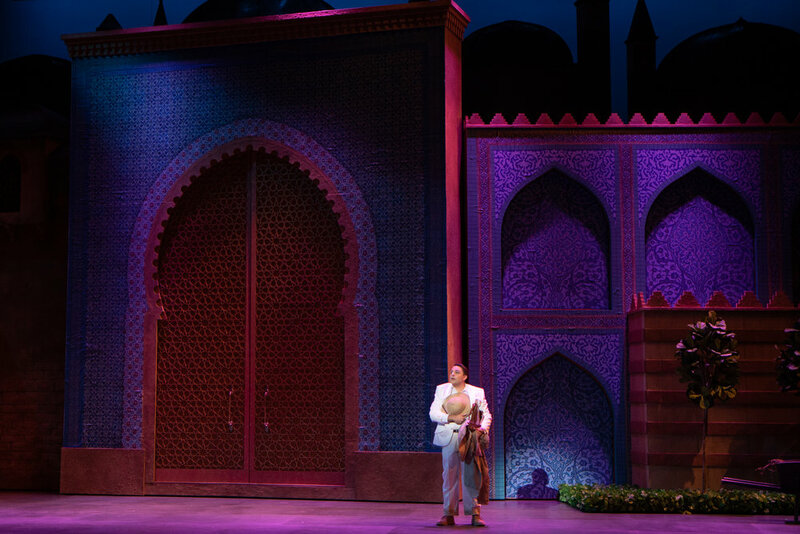 "Steven C. Kemp had some serious fun, too, covering his minarets and castle walls with amazing regional patterns. 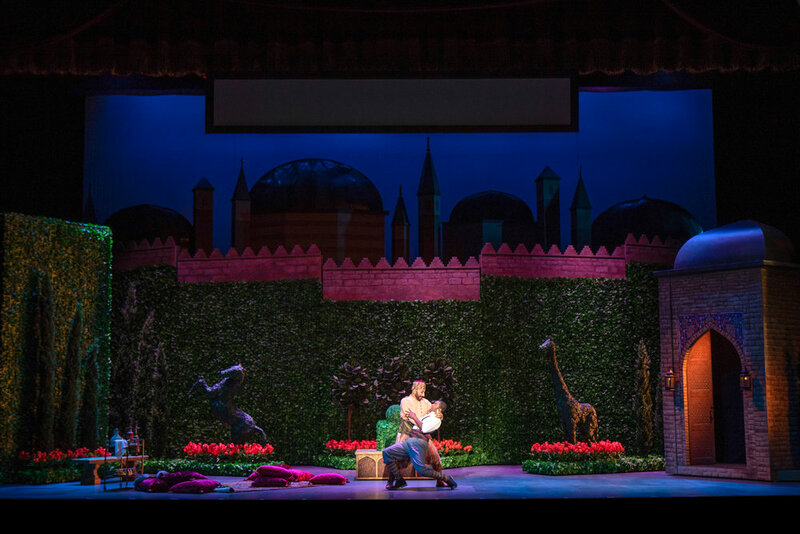 His Act II garden, festooned with topiary, tulips and ivy, received its own ovation, and his spinning scaffolding earned some applause as well." 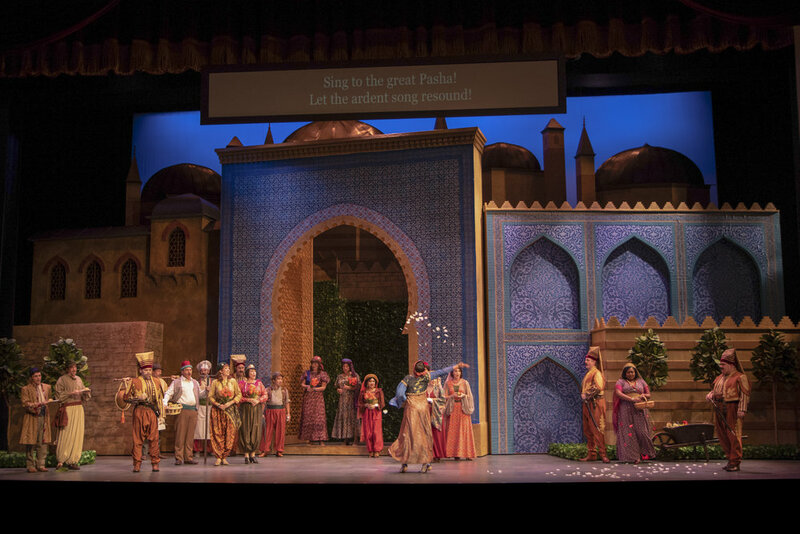 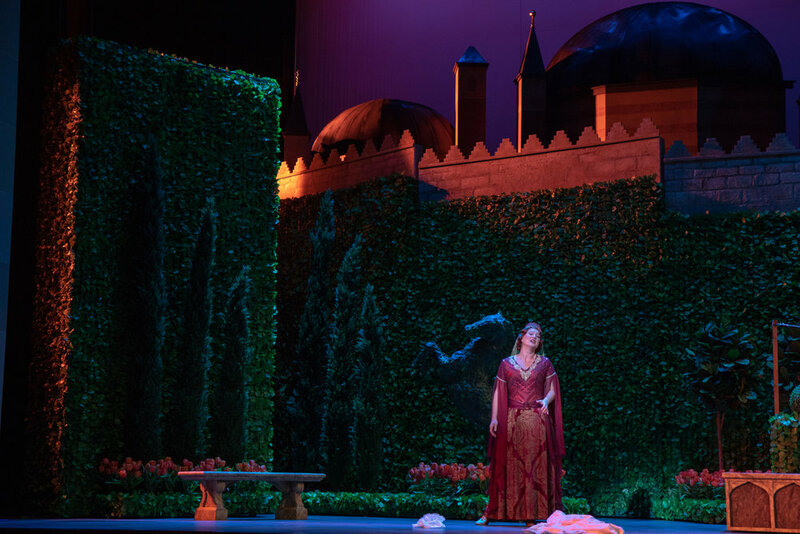 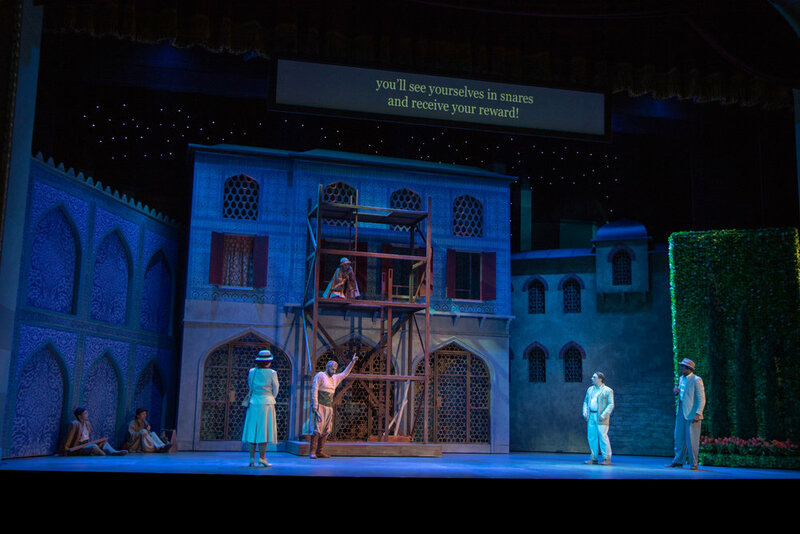 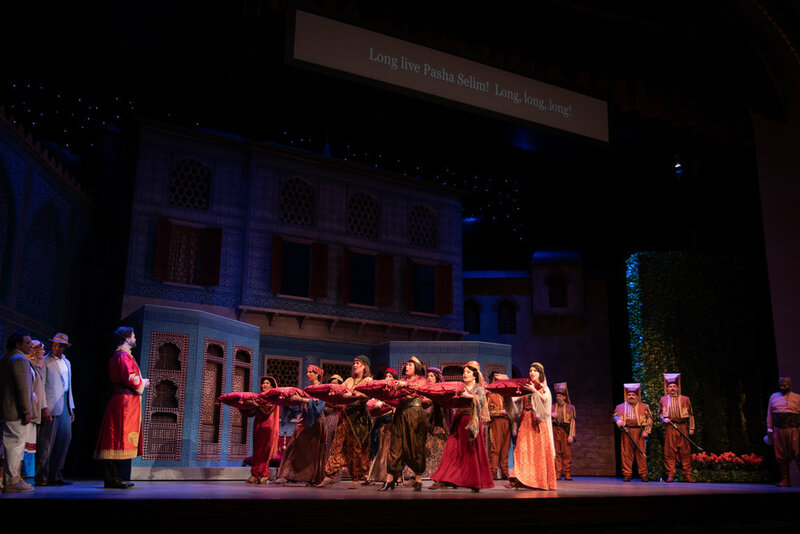 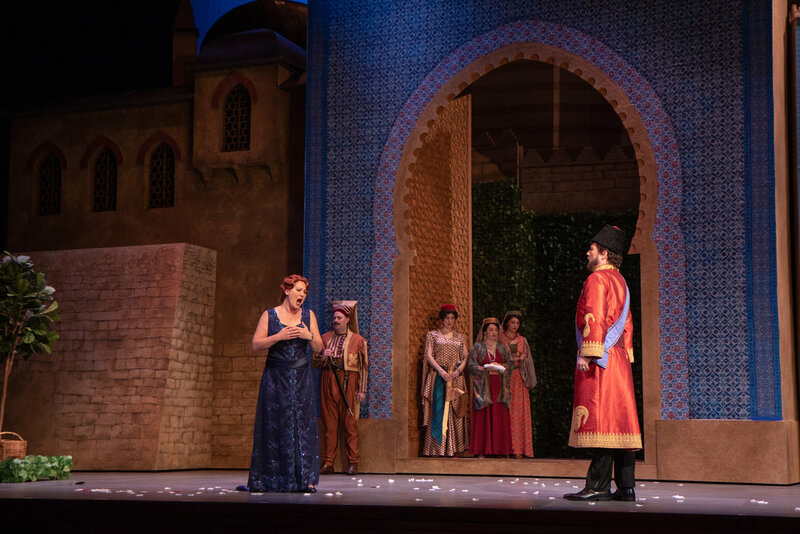 "...a splendid set from Steven C. Kemp, which looks better than both productions at San Francisco Opera right now and provides a fine spectacle. 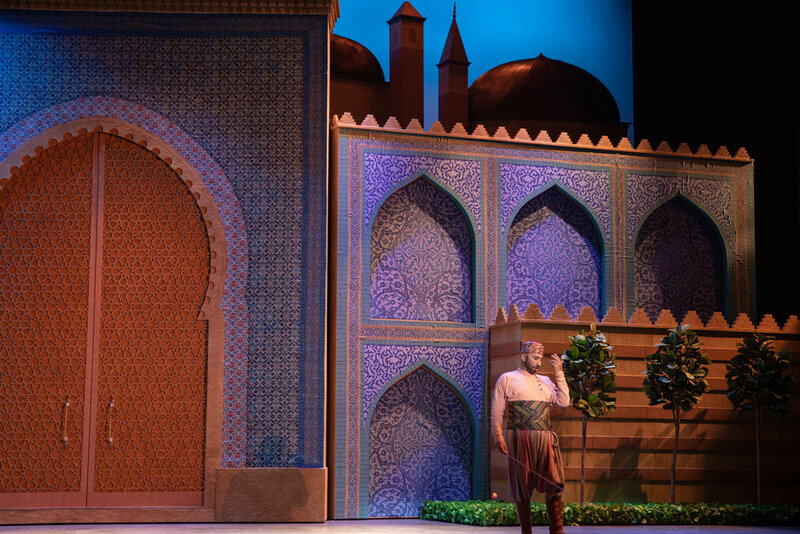 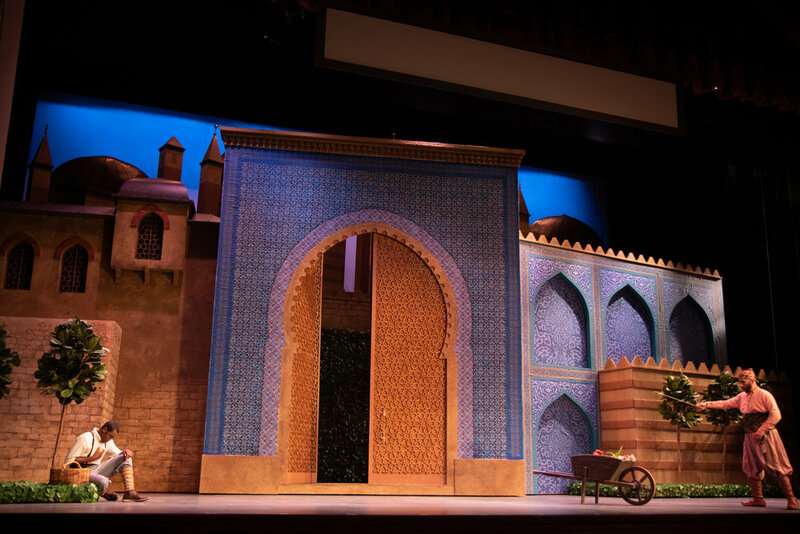 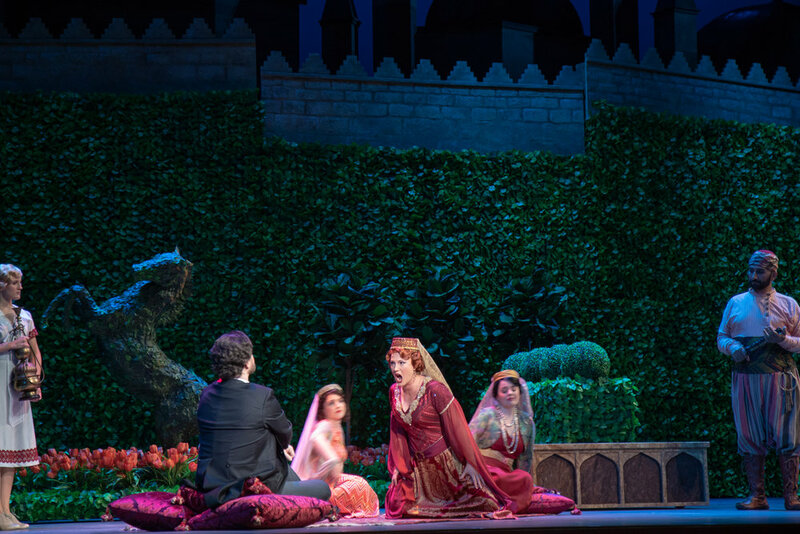 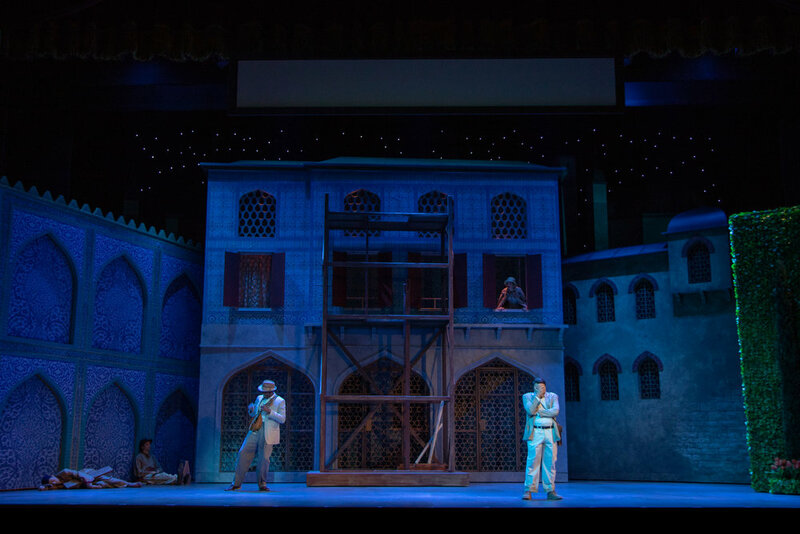 It did not surprise me at all that the audience clapped for the last act's set design as it was revealed, it simply looks like a seraglio."